Of all the adventures you’d like to have after finally fulfilling your dream of owning a Ferrari, driving it full-tilt into the sea shouldn’t really be top of the list. Or on the list at all. 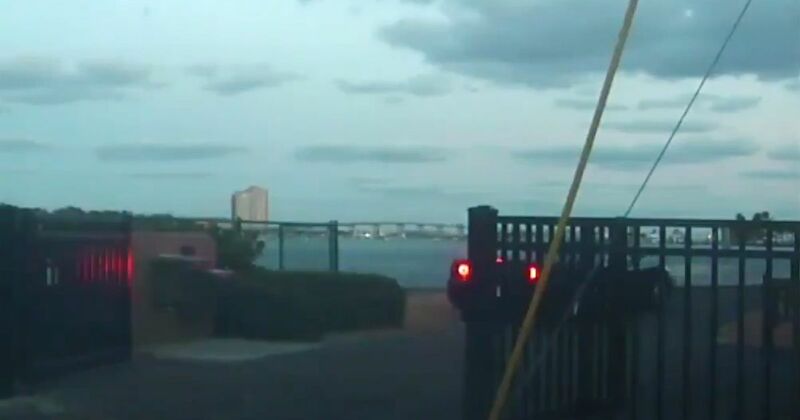 This driver in Miami has gone and done it anyway, as shown by some crazy police dash-cam footage filmed at a city dock that clearly shows the dark-coloured Ferrari 360 backing away from the water after a seemingly civil conversation with an officer and then putting the hammer down and heading directly for the down-ramp into the sea. The splash is huge as the old supercar displaces a tonne or two of water, before – off-camera – it sinks 30ft down into the bay. The driver escaped and was rescued by someone who jumped off a nearby boat. It’s possible that the Ferrari driver was desperately trying to escape the police, but such a rash attempt was hardly likely to work. The possibility of medical factors has also been suggested. No official cause has yet been released. The car was later recovered.